Shelley Taylor’s father was in his mid-70s when two homeless men duped him out of $17,000. The first one, a man Taylor’s father described as “nice,” walked him to the bank where he withdrew $6,000. "Anybody looking at him should have picked up on the cues that said 'Do not give this man $6,000’,” Taylor says. “I still don't know how my father could not pick up that this was not a nice young man." Such stories are everywhere – the couple who gave all their savings to a Canadian scammer, retirees who lost their life savings to fraudulent investment schemes, homeowners who ponied up thousands up front for roof repairs they didn’t need – and never got. 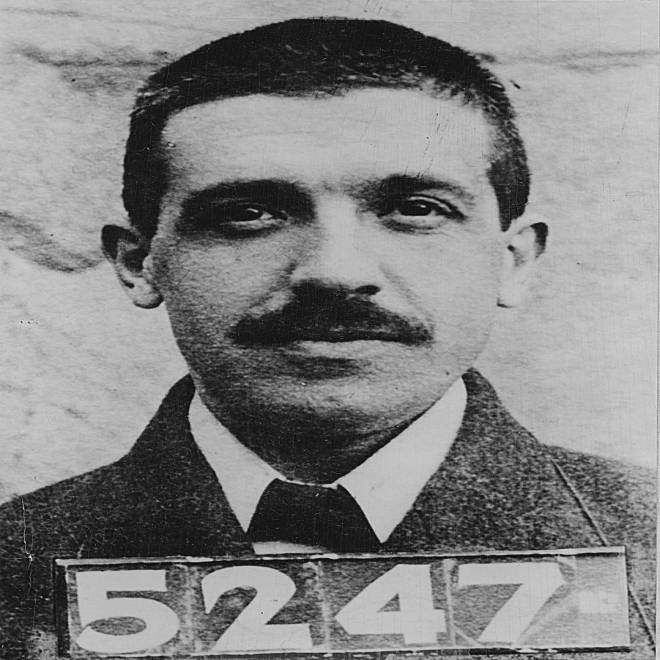 A police mug shot of Italian-born American swindler Charles Ponzi (1882 - 1949) after his arrest for forgery under the name of Charles Bianchi, Montreal, Canada, 1909. Ponzi's name now lives on in the particular fraud known as a ponzi scheme. But Taylor, a professor of psychology at the University of California Los Angeles, is beginning to understand why. And it’s not exactly what everyone has assumed. It all has to do with the fear centers in the brain. Gerontologists and crime experts agree the elderly are more vulnerable to fraud and many have assumed it’s because of diminished brain capacity, as well as because retired people often have more assets and more time on their hands. But new research suggests that older people's vulnerability might have more to do with the way older brains process visual cues. According to insurer MetLife’s Mature Market Institute, American seniors lose $2.9 billion a year to fraud. Most victims are between 80 and 89, the Insutute found in a study conducted with the National Committee for the Prevention of Elder Abuse and the Center for Gerontology at Virginia Tech. “So many people say the postwar generation is a very trusting generation. The implication is that this is a problem that will go away,” Taylor said in a telephone interview. Her research, published on Monday in the Proceedings of the National Academy of Sciences, suggests something else might be at work — a change in the way people process fear and suspicion. "We wanted to find out whether there are differences in how the brain reacts to these faces, and the answer is yes, there are," Taylor said. “Their brains are not saying 'be wary,' as the brains of the younger adults are,” Taylor said. “Thus, a diminished ‘gut’ response to cues of untrustworthiness may partially underlie older adults’ vulnerability to fraud,” the team concluded in the report. Taylor said it’s not clear whether this is caused by reduced brain function, or perhaps it’s a natural consequence of getting older. “We know that older adults are good emotion regulators. They make their lives emotionally more positive,” she said. “When they do that, it tends to be good for mental health,” Carstensen said. This difference may be important in efforts to help protect older people from fraud. Carstensen worries about policies that might restrict older people from making financial decisions. A better route might be to help people deflect the huge number of temptations that come their way through the mail, on the phone, or when the scam artists knock on the front door. For her next study, Taylor’s team will study the brain responses of people during a real, in-person financial scam. In the meantime, she has some advice. “The answer is to hang up,” Taylor advises. “Throw it away. Don’t open it. Don’t go to the free lunch seminar. Stop it at the source."